Rick is officially in his shop and working diligently on his orders. He’s so busy doing catch up we won’t be hanging a sign on the door for visitors anytime soon. Rick’s pretty smitten by his shop. He can’t believe how much more efficiently he can work. That’s good news for everyone. It’s safe to say if you are on the waiting list for a knife, you can expect an email from Rick shortly. 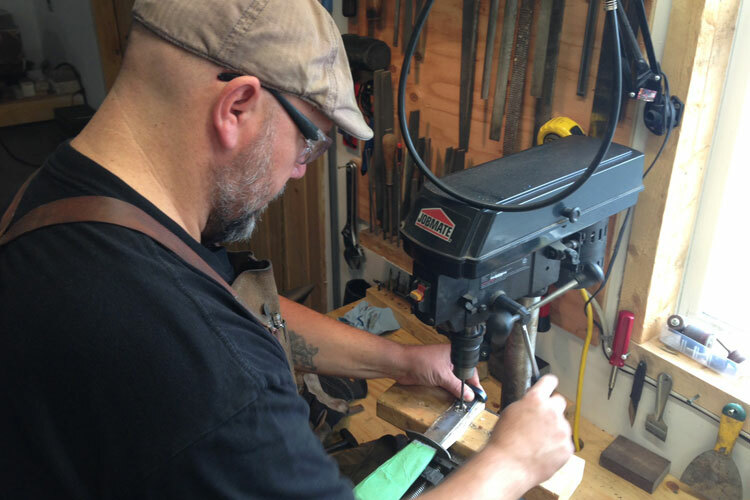 This entry was posted in Editorial, Misc, News and tagged bladesmith, bladesmithing, home based business, knife maker, Lunenburg, Nova Scotia, Rick Marchand, Wildertools.